1/10/2018 - Salvia plants are temporarily out of stock. We no longer ship Dried Salvia leaf or extract. We will continue to ship live Salvia from Oregon. Salvia divinorum will not be shipped to Alabama, Arkansas, Colorado, Connecticut, Delaware, Florida, Hawaii, Illinois, Indiana, Iowa, Kansas, Kentucky, Michigan, Minnesota, Mississippi, Missouri, Nebraska, North Dakota, Ohio, Oklahoma, Pennsylvania, South Dakota, Vermont, Virginia, Wisconsin, Wyoming, or overseas. Maine and California residents must fax, mail, or email a photocopy of photo identification to purchase Salvia divinorum. Salvia divinorum is a unique visionary herb that has been used for centuries by Mazatec Indian shamans for healing and religious ceremonies. We offer high quality dried raw Salvia divinorum leaf sustainably harvested in Oaxaca Mexico, extract enhanced Salvia divinorum leaf, and a sublingual Salvia divinorum tincture. We use non-poisonous alcohol solvents to produce our Salvia extracts. Before purchasing Salvia, please read the Salvia Information Page (Educational information about Salvia divinorum). Scroll down to order live Salvia plants. 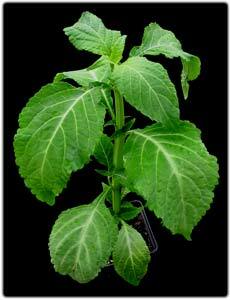 Live Blosser strain Salvia divinorum rooted plants drop-shipped from the nursery in Oregon. Plants are shipped via priority mail, shipping cost is $16.95 (extra shipping fee added to invoice when processed). Express shipping is not available for live plants (the rest of your order will be shipped separately). We do not ship live plants to any country but the United States. (We also sell live Kratom plants, check our Kratom page). Important shipping info for live plants: Your plant will ship on a MONDAY or TUESDAY after you place your order, Plants are not shipped on other days in order to ensure live delivery. You should receive a tracking number for your plant from our grower when your plant is shipped. It is important that the plant is removed from it's package and to a safe environment as soon as it is received, as plants naturally are subject to some level of stress during shipping. Please note - these plants are shipped from Oregon, we do not have live Salvia available for local pickup. Salvia divinorum rarely produces seeds, and when it does only a few of those seeds will ever sprout, and the ones that do sprout are almost always very weak plants that often do not survive. It is almost impossible to find Salvia divinorum seeds for sale anywhere, and if you do the seeds will produce weak plants if they produce any plants at all. 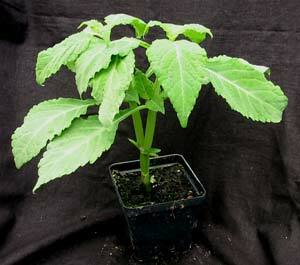 It is much easier to grow Salvia from cuttings or live plants. Can't Decide? Try one of our Combination Sampler packs!